Photos - Lead actors promote Mubarakan on new comedy show, The Drama Company! 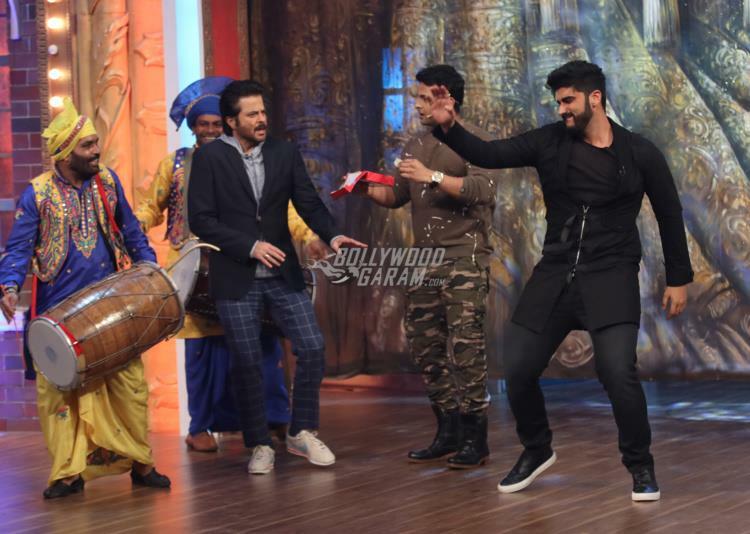 Photos – Lead actors promote Mubarakan on new comedy show, The Drama Company! Catch the entire lead star cast of Mubarakan on The Drama Company on Sony TV on Sunday July 22, at 8 pm! 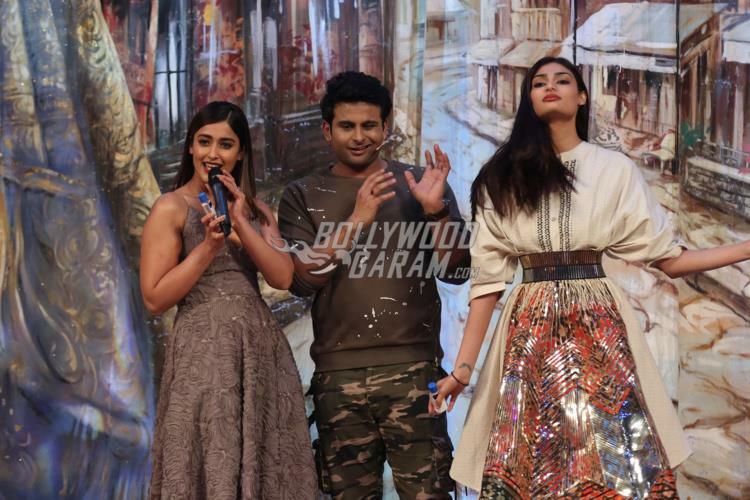 Team Mubarakan was snapped having a blast on the sets of the TV show The Drama Company. The entire star cast landed on the sets of the show and were snapped having a great time with the characters. 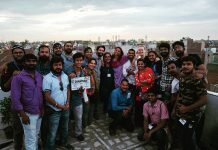 Going by the pictures, the actors surely had a great time as they enjoyed the performances of the characters and also showed off some of their moves from the film. 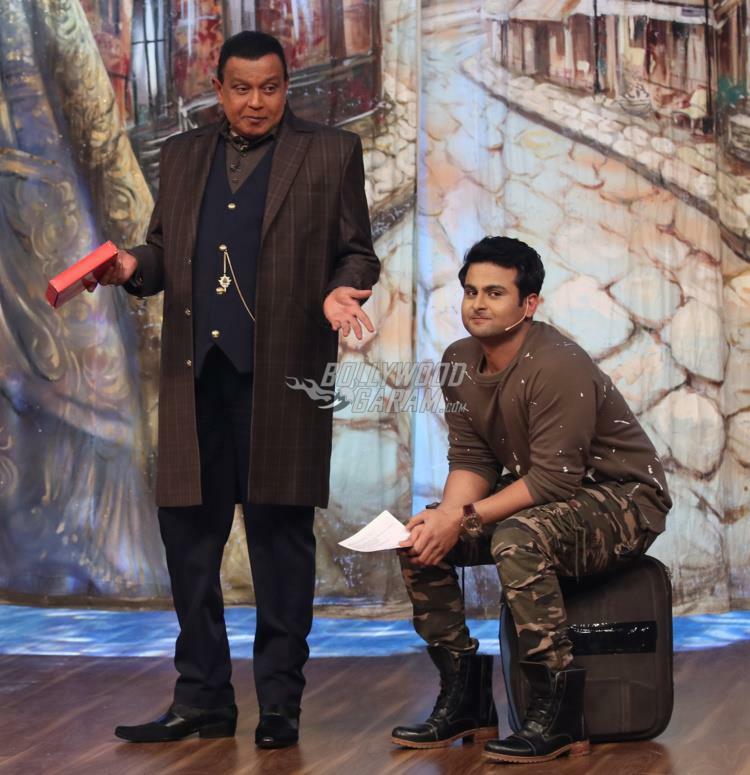 The show The Drama Company was started off by comedian Krushna Abhishek and also stars Ali Asgar, Sugandha Mishra, Sanket Bhosle, Sudesh Lehri and the legendary actor Mithun Chakraborty. Actor Anil Kapoor, who will be seen playing the lead role in Mubarakan, was snapped interacting with Ali while Ileana and Athiya had a great time interacting with the fans. This will be the first time Anil will be seen sharing screen space with his nephew Arjun Kapoor. This episode of The Drama Company featuring cast of Mubarakan will air on Sunday July 22, 2017 at 8 pm IST. Previous articleNeil Nitin Mukesh and Rukmini Sahay spotted at Mumbai airport - Photos!